Specialized state of the art equipment combined with our highly skilled craftsmen have earned the distinguished title of “WORLD CLASS MANUFACTURER”, awarded by our largest customer. 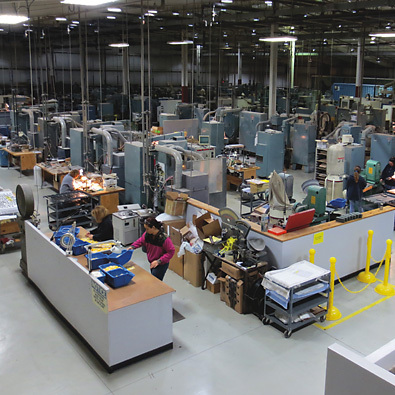 Our 52,000 square foot facility in Marine City Michigan is proof of our commitment to serving a wide range of customer needs. Efficiently manufactured in the USA, our work becomes an important part of more than 450,000 new guitars each year.